According to the American Cancer Society, approximately 252,710 new cases of invasive breast cancer will be diagnosed in women in 2017. 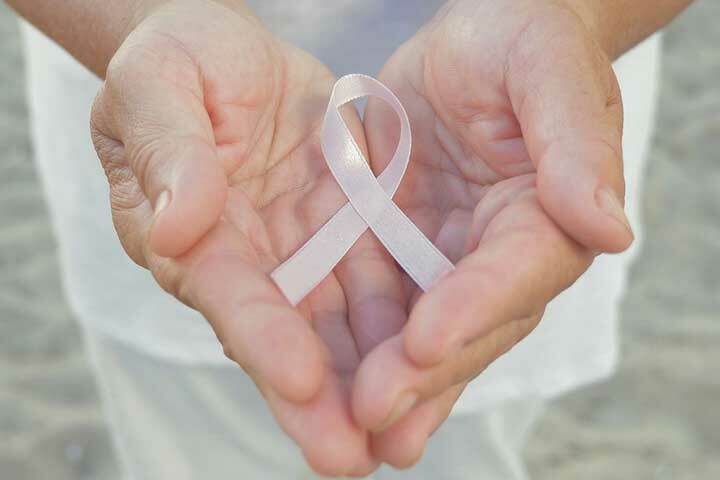 Except for skin cancers, breast cancer is the most common cancer in American women, and while it is sometimes found after symptoms appear, many women with breast cancer do not exhibit any symptoms, which is why breast cancer screening is important. Breast cancer that is found early is easier to treat successfully and the best way to find it early (should it exist) is to get screening exams regularly. It is also important to perform self breast examinations and pay attention to any changes in the breasts. Any unusual changes should be reported to your doctor right away. The point of a screening test is to find potential breast cancer before it causes symptoms, like a lump. Once clear symptoms appear, it is much more likely that the cancer is at a more advanced stage and has potentially spread, which makes it harder to treat successfully. The most common breast cancer screening test used for early detection is a mammogram, which is a low-dose x-ray of the breast that looks for changes in tissue that could indicate breast cancer. 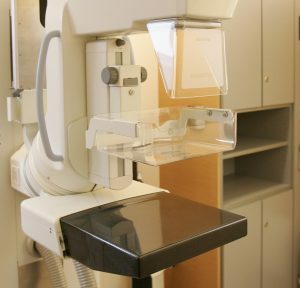 There are two types of mammograms, a screening mammogram and a diagnostic mammogram. A screening mammogram is used to look for breast cancer in women who do not have any breast problems or symptoms. A diagnostic mammogram is a mammogram that is used to look at the breast of a woman who has a breast change or problem. Mammograms can identify masses and calcifications in breast tissue that could indicate cancer. They can’t actually prove that an abnormal area is cancer, however. If there is an abnormal finding on a mammogram, a breast ultrasound is often the next step. An ultrasound is useful for looking at a breast change seen on a mammogram, as well as other breast changes, such as those that may be felt but not seen on a mammogram. If a mass is felt or seen on a mammogram, an ultrasound can be used to determine if it is a fluid-filled cyst (not cancer) or a solid mass. When a mammogram and breast ultrasound indicate the presence of POTENTIAL cancer, a biopsy is the next step. During a biopsy, which may be done with a needle or an incision, a surgeon removes cells from the suspicious area to determine whether the cells are cancerous. Whether or not a biopsy confirms a cancer diagnosis, remember that you could get a second opinion. It may mean another biopsy but a second opinion can be helpful when you’re having difficulty with a diagnosis or non-diagnosis. While a screening MRI may be recommended for certain women with a particularly high risk for breast cancer, breast MRIs are typically used for women who have already been diagnosed to help measure the cancer’s size and look for other breast tumors (in the diagnosed breast and in the other). Breast MRI scans are not recommended as a screening test for the average woman because they tend to report more false positives (find something that isn’t actually cancer), which could lead to unneeded tests and biopsies. Some doctors are more aggressive in their breast cancer screening recommendations than others. For a woman with a high risk of breast cancer, this can be very helpful, but perhaps not so much for a woman with a low or average risk. Being well-informed of your own breast cancer risk can help you work with your doctor to set-up an appropriate screening schedule that does not subject you to unnecessary tests. To find out whether you have a genetic predisposition for breast cancer, order our Women’s Hereditary Breast and Ovarian Cancer Test today!